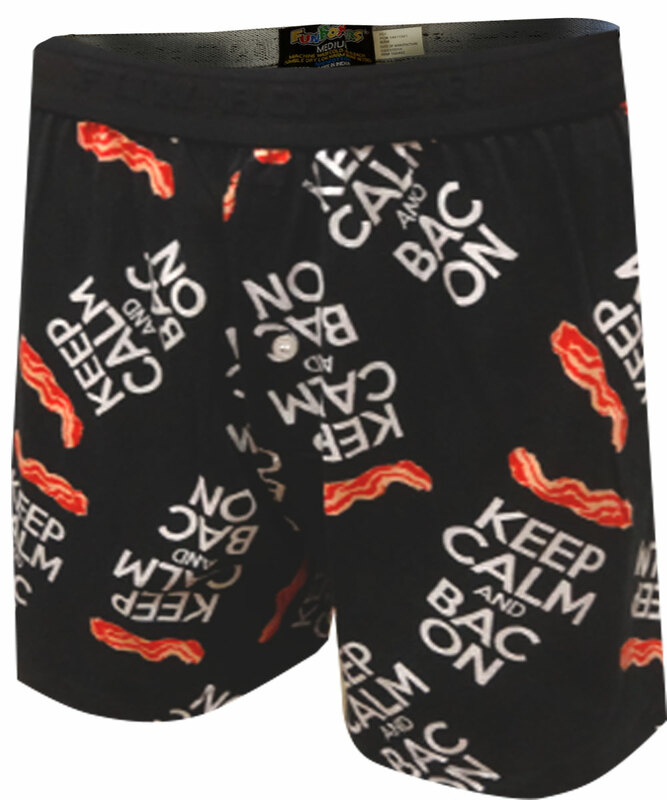 Description: Inspired by current bacon craze, these funny boxer shorts for men feature America's favorite meat with a Keep Calm theme. 100% cotton knit with button fly and exposed elastic waist. 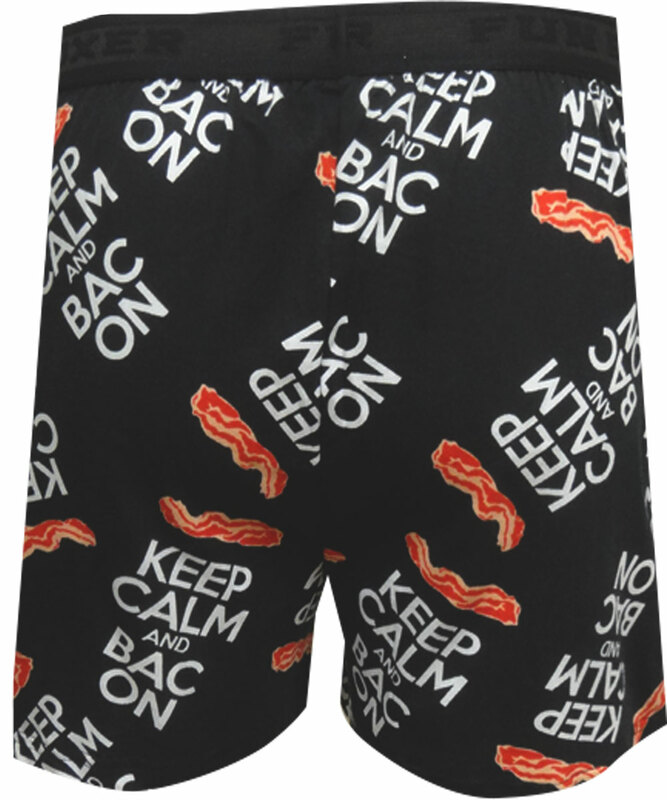 You can just smell the deliciousness!